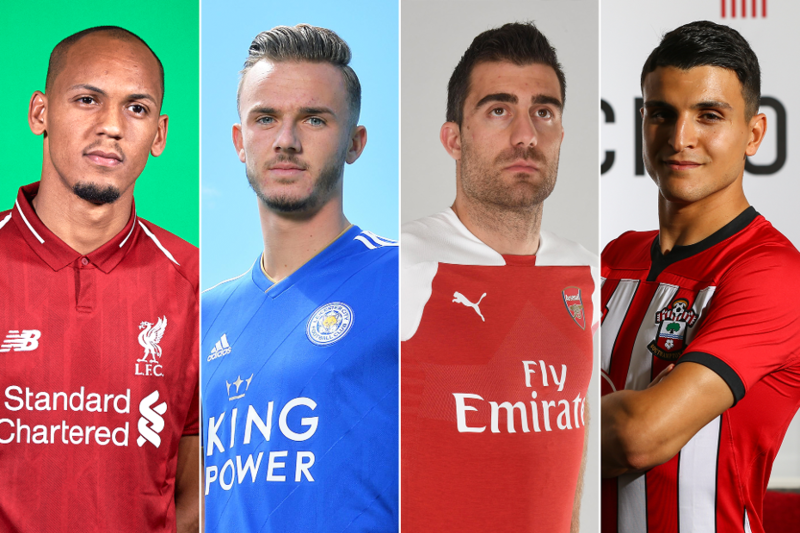 Now that the 2018/19 Fantasy Premier League game is live, we can assemble our 15-man squads and make unlimited transfers up to Saturday 11 August. And there are a number of summer signings who will need to be considered as part of our initial plans. Liverpool’s pair of new midfielders Fabinho and Naby Keita cost £6.0m and £7.5m respectively. Fabinho has an excellent penalty record that could earn him spot-kick duties for Jurgen Klopp’s side. He has scored 16 penalties in the last three seasons for Monaco, part of a Ligue 1 haul of 22 goals and 11 assists. Keita, meanwhile, has 14 goals and as many assists in his previous two seasons for German side RB Leipzig. Southampton midfielder Mohamed Elyounoussi (£6.5m) is expected to take up a central support role in a 3-4-2-1 formation. He supplied 11 goals and eight assists in 33 league appearances for FC Basel last season. Leicester City’s new playmaker James Maddison will also cost £6.5m. Signed from Norwich City, he produced 14 goals and eight assists in the 2017/18 Championship. Riyad Mahrez is priced at £9.0m, meaning Maddison could become the go-to option in the Foxes' midfield. Another Leicester signing, right-back Ricardo Pereira (£5.0m), will offer a significant attacking threat. He produced two goals and five assists for Porto in 2017/18. Lukasz Fabianski (£4.5m) will be a popular goalkeeper choice after arriving at West Ham United from relegated Swansea City. He was the top-value player in 2017/18, in terms of points per million (33.4). He tallied 157 points and earned at least one save point in 27 of his 38 Gameweek appearances. Fabianski is one of a number of new goalkeeper signings. Martin Dubravka will cost £5.0m after joining Newcastle United on a permanent deal. The Slovakia international averaged 4.4 points per match during a loan spell with the Magpies last season. Vicente Guaita (£4.5m) and Bernd Leno (£5.0m) have fine records when it comes to saving penalties. Crystal Palace’s Guaita saved five penalties in LaLiga over the last four seasons for Getafe. And Arsenal’s Leno saved nine of 39 penalties faced for Bayer Leverkusen in the Bundesliga. His new Gunners team-mate, central defender Sokratis Papastathopoulos (£5.5m), netted twice for Borussia Dortmund last season.